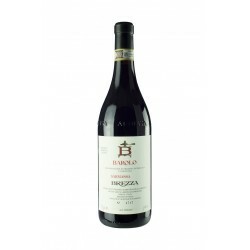 Brezza, owner of vineyards in Barolo dating back to 1885, is located a few steps from the center of the small town of Barolo, immersed in the vineyards as well as the adjoining restaurant and the hotel also owned by the family. Currently the company extends over an area of twenty hectares of land including sixteen and a half to the vineyard: 0:30 in the municipality of Barolo, one in the town of Monforte, one in the municipality of Novello and two in Alba . for all processes; Annexed to this part of more recent construction are outside the place of alcoholic fermentation, completely in stainless steel with control of temperature and an automatic system, a room for the malolactic fermentation and last but not least the room for the storage of completely buried bottles which of course maintains a good humidity and constant temperatures throughout the year. A part of the winery tasting room is also used as a historical museum where the family has jealously guarded the equipment of the past. The total production is about 80,000 bottles coming from estate vineyards. 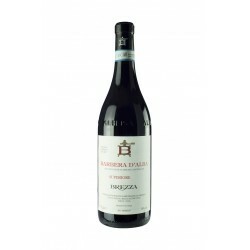 The wines all Denomination of Origin Controlled and Guaranteed and Controlled is 95% reds: Barolo coming from historic vines (Bricco Sarmassa, Cannubi, Sarmassa and Castellero), Nebbiolo d'Alba vineyard Santa Rosalia, Barbera d'Alba Vineyard Cannubi, Cannubi Muscatel and Santa Rosalia, Dolcetto d'Alba vineyard San Lorenzo and Fossati, Langhe Freisa vine Santa Rosalia, the Langhe Rosso. The only white wine produced is a Langhe Chardonnay.